Light up your life and your home with this cute LED wall hanging plaque. 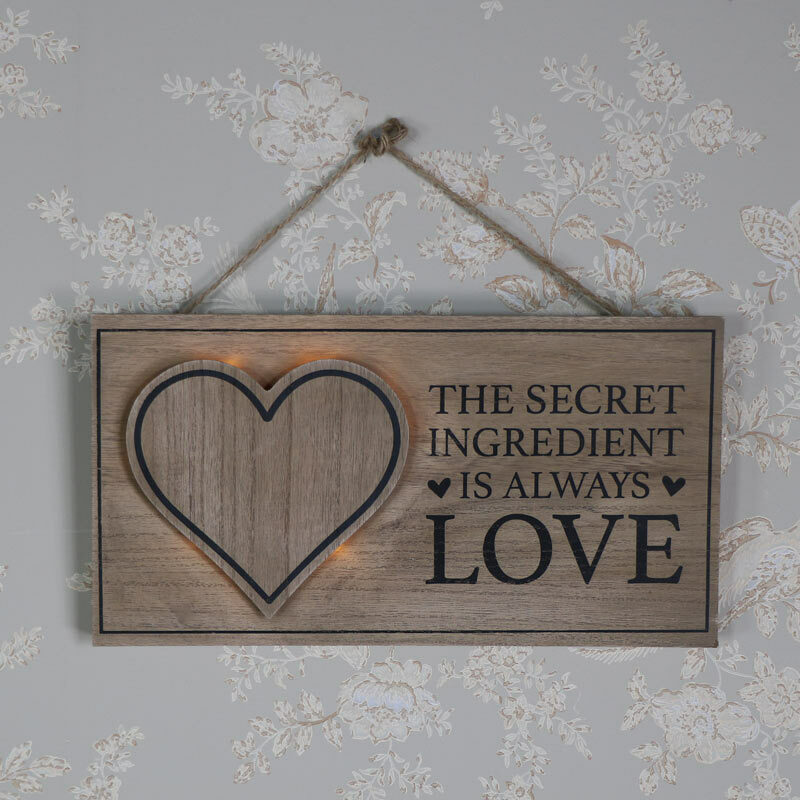 Wooden plaque with the words "The secret ingredient is always love" in black letters with an LED to light up the heart shaped motif. A great gift idea for that someone special in your life to show them how much they mean to you. Light up your life and your home with this cute LED wall hanging plaque. 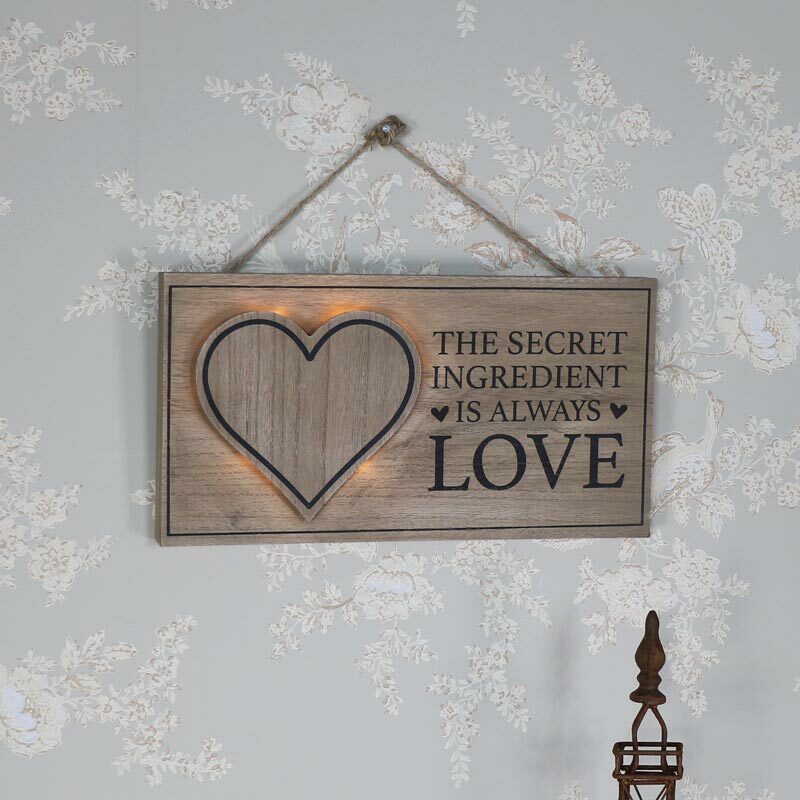 Wooden plaque with the words "The secret ingredient is always love" in black letters with an LED to light up the heart shaped motif. A great gift idea for that someone special in your life to show them how much they mean to you. Nade from wood in a natural wood finish with black lettering. Easily wall mounted with a length of string. Takes x1 AA battery (not included). 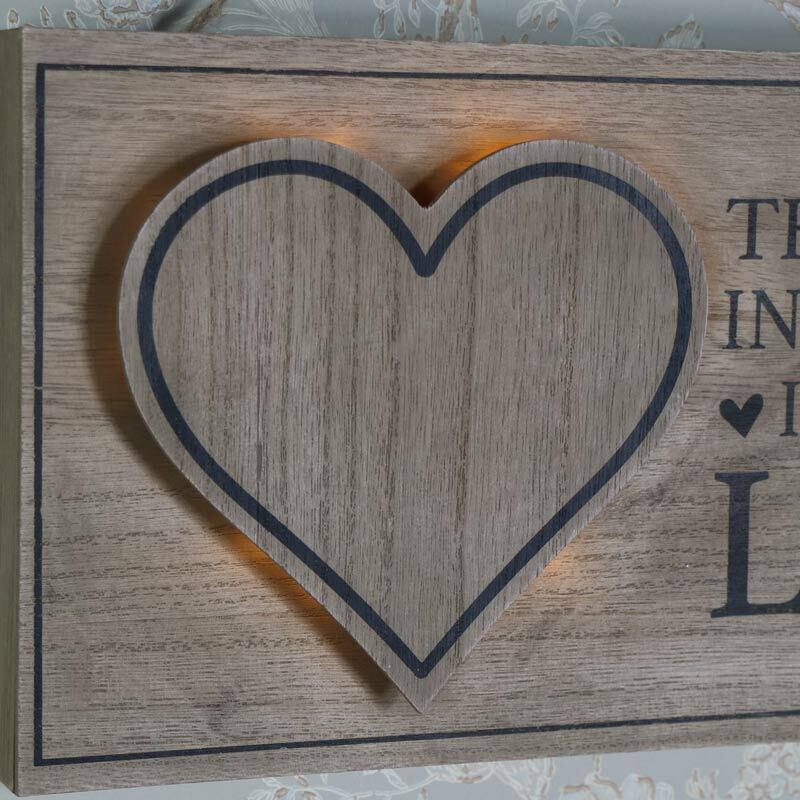 Along with our other light up plaques, this is just a small part of our fabulous range of home and gift accessories, great gift ideas for friends and family or something for yourself.